Confession: I’ve never seen Steven Universe. It’s something that is on my list. I kept this on my 12 Days of Geekmas because I want to know how this fandom has affected YOU! So let me know, what has this fandom given to you? and One Ring to Rule Them All! If you don’t know what this is, check out the intro post here. Feel free to join any time for any of the posts. I’m so excited for everyone to participate and I can’t wait to see what these fandoms have given you! If you’re participating in the link up, post the link to your post in the link below! 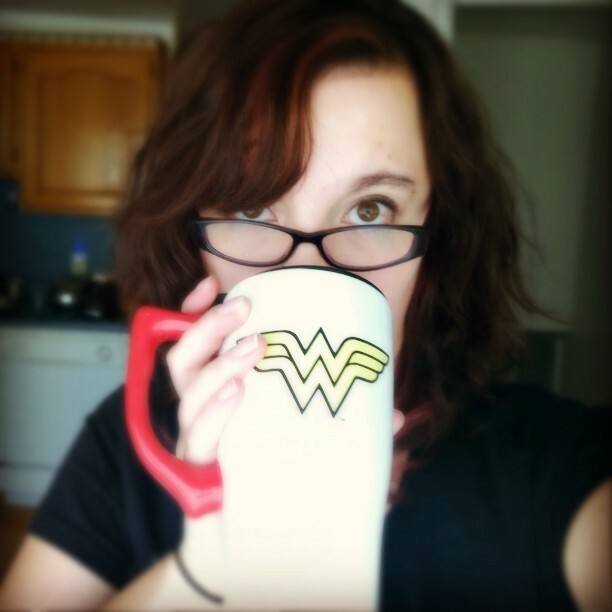 Be sure to follow #12DaysofGeekmas and me (@NerdyAlerty) I’ll be retweeting/reblogging any posts participating! There are/were plenty of Threes I could have done for this day, but Charmed holds a special place in my heart. When I was in middle school and high school, my mom was going to school to complete her masters as well as working a full time job. This left little time for us to be together. So we made an effort to spend at least one night a week just the two of us. Occasionally we would have stowaways on on girls night in (usually my best friend at the time from down the road), but for the most part it was just the two of us. We would make dinner together and watch Charmed together and just generally be together. This show is a show ultimately about family. Paige, Prue, Phoebe and Piper were bonded in a way that I never saw on television. They fought like the sisters they were, and loved like the sisters they were and forgave like the sisters they were. Even now, you don’t see a family like that on television anymore. There are similar friendships, but an actual family dynamic is missing from a lot of television now a days. Stepping away from the sisters, the family dynamic doesn’t change, the sisters relationships with Grams and their mother is SPOT ON to an actual relationship with a mother and grandmother. As an only child, I didn’t really know what it was like to have sisters. Charmed allowed me to kind of see what it was like to have a sister… and what it was like to be magical. And of course, Charmed was one of the first shows that I ever “shipped” someone in. I wanted Leo and Piper to be together forever and ever. 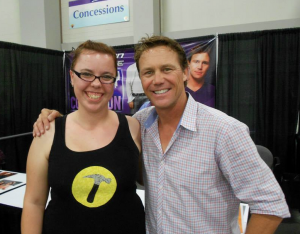 Which is why when Brian Krause came to Salt Lake Comic Con a few years ago I couldn’t resist getting a picture with him. What has this fandom given to you? Introducing… The 12 Days of Geekmas! It is now officially after Thanksgiving which means I can finally start talking about Christmas without getting funny looks. I love the winter holidays. No matter what you celebrate, I think that the winter holidays are perfect times for ice skating, walking through the snow in gloves and boots and driving around town looking at Christmas lights. The holidays have always been my favorite time of year because it’s like everything in my world has a little bit of sparkle to it, and I just want that sparkle to grow. I like to pretend that I don’t spend as much time on Youtube as I really do, but it would be a lie. I don’t want to lie to you guys. So here’s the deal, I usually spend a lot of time on YouTube. Mostly watching webseries based on classic literature, or watching Hannah Hart get drunk and forget to read directions. Sometimes, when I’m surfing the tubes, I come across a webseries that just looks like so much fun I have to share. 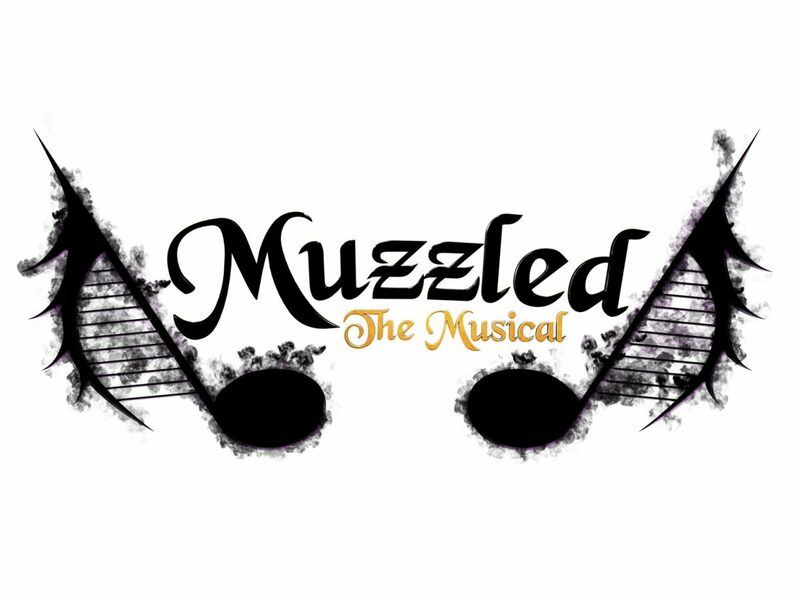 Muzzled the Musical is one of those things. 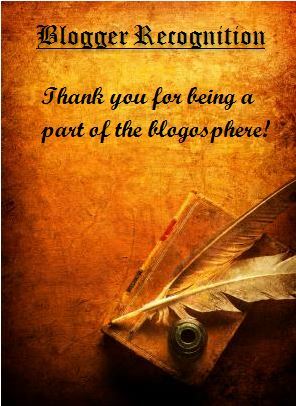 I saw this awesome Blogger Recognition Award on Like Gwen Stacy and thought it was a great idea! So since she tagged anyone who read it and wanted to do it, I decided to take my shot! Write a post to show off your award! Give a brief story of how your blog got started, and give a piece or two of advice to new bloggers. Thank whoever nominated you, and provide a link to their blog. List who you’ve nominated in the post. Make sure to also attach the award itself! (You can do this by right-clicking, saving, and uploading the image above). Every little while I get into a funk. I call it a funk because to me being in a funk is when you are aware of what is happening around you and how you’re reacting but you aren’t sure why you’re feeling that way. I’ve been slowly trying to work my way out of said funk to no avail. But still, I’m going to keep trying and hopefully I’ll pull up and out of it. Despite the funk, it’s Thursday and Thrilled time and I’m excited about a couple things. Thursday and Thrilled: Fanmix Yourself! I’m hoping to get a couple of blog posts planned for the next few days since the Husband and I are going on a small vacation and I’ll be unable to write more. But I’m so excited to get out of the city for a little while. Even if it is just up the canyon. That being said, this week’s Thursday and Thrilled will be a small edition. 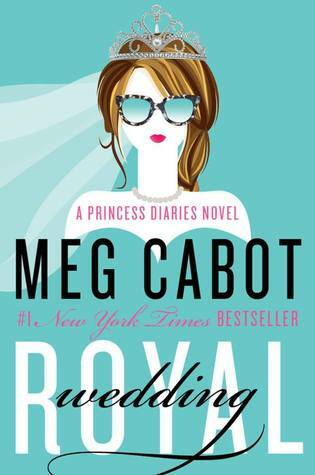 From the #1 New York Times bestselling author of the Princess Diaries series, comes the very first adult installment, which follows Princess Mia and her Prince Charming as they plan their fairy tale wedding—but a few poisoned apples could turn this happily-ever-after into a royal nightmare. For Princess Mia, the past five years since college graduation have been a whirlwind of activity, what with living in New York City, running her new teen community center, being madly in love, and attending royal engagements. And speaking of engagements. Mia’s gorgeous longtime boyfriend Michael managed to clear both their schedules just long enough for an exotic (and very private) Caribbean island interlude where he popped the question! Of course Mia didn’t need to consult her diary to know that her answer was a royal oui.